With age and daily environmental aggressions, skin cells become progressively “deaf” to self-regeneration mechanisms. 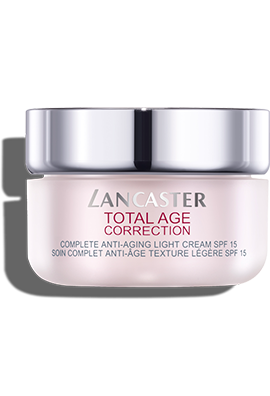 Lancaster introduces new generation Anti-Aging Day Cream & Glow Amplifier SPF15, the first Lancaster skincare that amplifies both the anti-aging action and the skin’s natural glow. 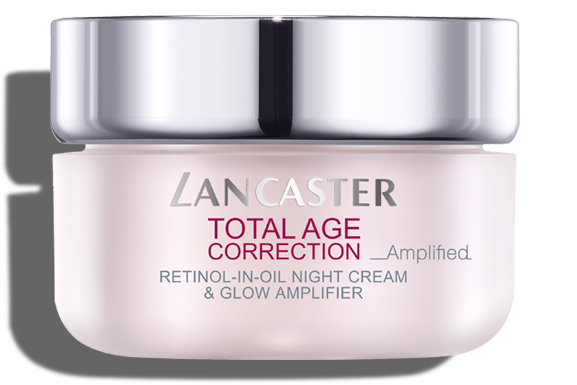 • Amplified Cell Regeneration: Bi-Retinol™ Complex, now enriched with soy extract, helps regenerate skin and fight against wrinkles and lack of firmness. 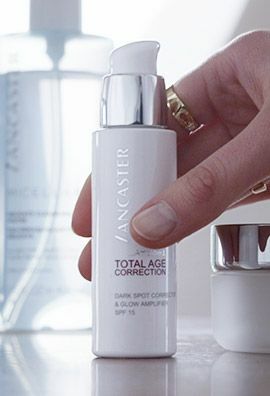 Every morning, to prevent dark spots and premature aging pump Total Age Correction Dark Spot Corrector & Glow Amplifier SPF15 into the palm of your hand. 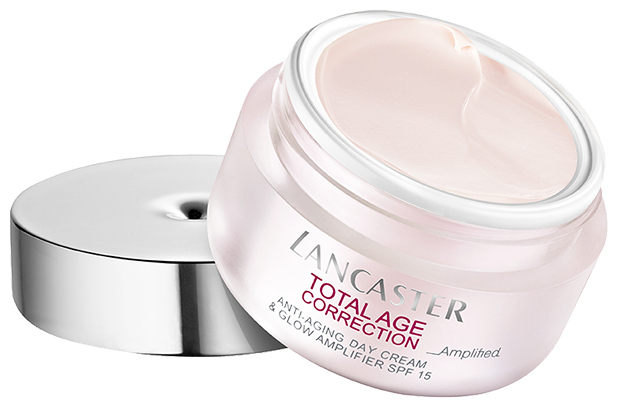 Apply Total Age Correction Anti-Aging Day Cream & Glow Amplifier SPF15 to give your skin our three most advanced technologies in one go - deep wrinkles, firmness, dark spots.